The Last Market was Unforgettable! 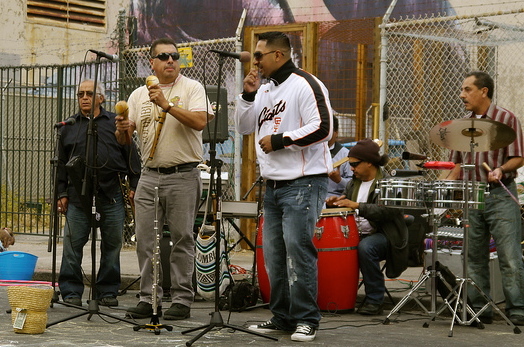 If you weren’t able to make it out to the Mission Mercado last night, there’s some bad news and good news. The bad news is, you missed one of the best markets so far this season! The good news is, you can find us at 22nd and Bartlett every Thursday from 4 pm til 8pm, so you’ll get another chance next week to join in on the fun. The weather set the tone for the market, with plenty of midday sunshine reminding us that yes, summer is actually here! 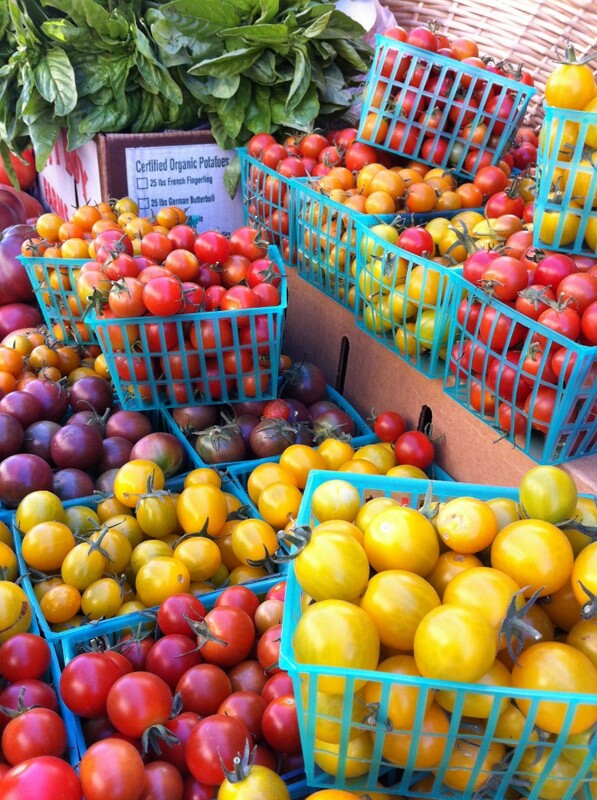 And just in case you weren’t sure about that, the bounty of colorful tomatoes from Happy Boy Farms made that fact undeniably clear! It was the perfect kind of day to enjoy a watermelon-mint popsicle from Pop Nation! Those who had pre-ordered a Chef’s Market Box featuring the 4505 Meats burger and a fennel-nectarine side salad were not disappointed! We had a great team of MCM volunteers and some awesome folks from Good Eggs prepping the boxes for delivery and pickup and everything went off without a hitch. If you missed your chance to get a piece of the market box action, don’t worry! There will be a new market box on offer the week after next, so keep an eye out for what delicious meal curated by a local chef you’ll be cooking next. As always, MCM was thrilled to feature some very talented local musicians. First up was Steffy Sue, who entertained MCM patrons with some delightful, toe-tappin’ tunes on the ukulele! She was followed by La Orquestra 24, who were so loved by the crowd of eager salsa dancers and fans that they couldn’t stop playing until well after 8pm! 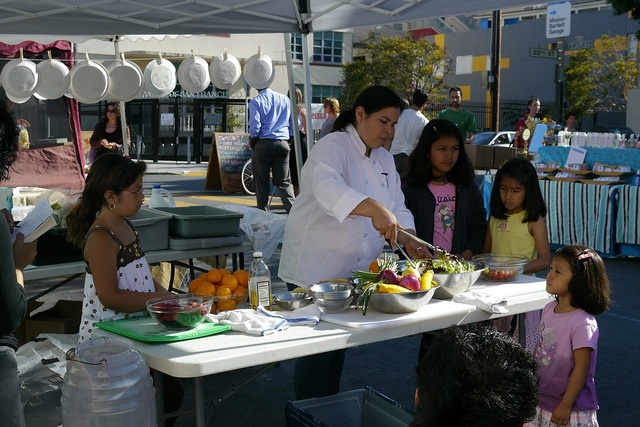 Not to be outdone by the musicians, the amazing Dilsa Lugo, La Cocina graduate and owner of catering company Los Cilantros offered an informative cooking demo at the market this week, passing her traditional Mexican cuisine expertise on to the masses. What do you do when you play a classical instrument like the cello but you love hip hop? Well, you have to beat box over it of course! 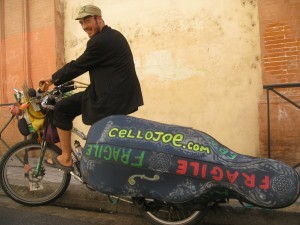 Cello Joe is a self-proclaimed “International bicycle touring vagabond troubadour cellist beatboxer.” He has traveled all over the world with his cello and his bike “hoping to make the world a better place by making strangers smile.” Come see him perform at the Mission Community Market, this Thursday at 4pm. In the meantime, check out this video of Cello Joe playing in front of one of the Angkor Wat temples in Cambodia.